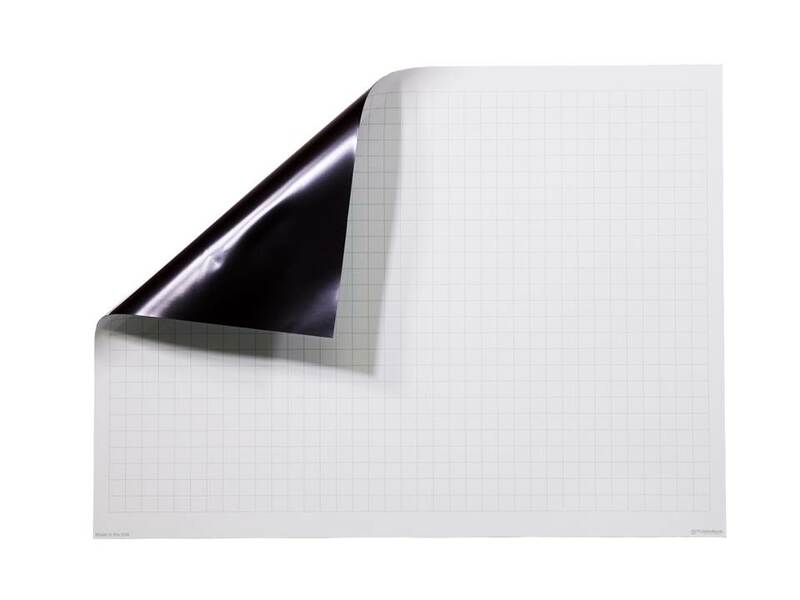 Roll up dry erase grid magnets from OptiMA. 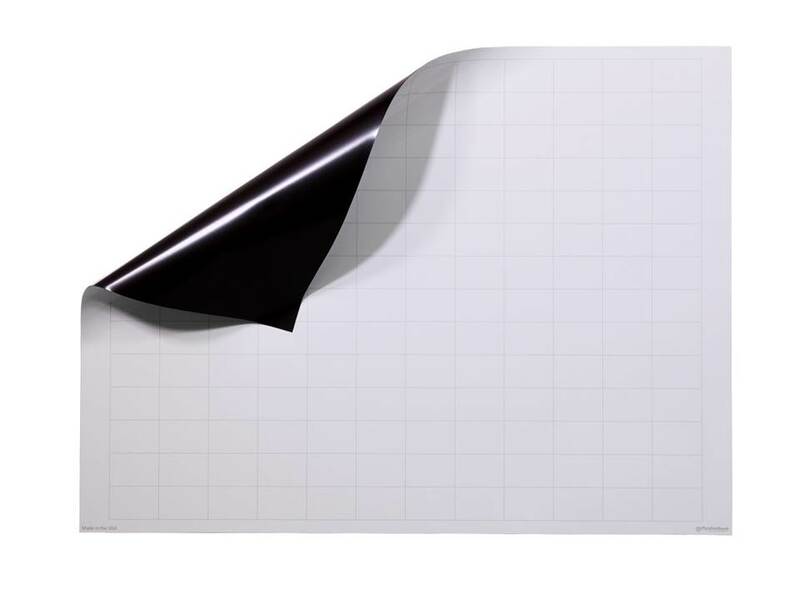 Large heavy duty magnetic sheets with a printed dry erase writing surface with a selection of three different grid sizes of 1" x 1", 1" x 2" and a larger 2" x 3" give you the option of having a portable or removable dry erase grid board in your office, in your vehicle or on the work shop floor. Actually anywhere you have a smooth steel or magnetic receptive surface you can use our roll up dry erase grid magnets. Create your own custom production schedules, tracking boards, progress charts and so much more. The printed magnetic grid sheet is 30" tall x 42" wide with a super strong magnetic power to stick securely without sliding. 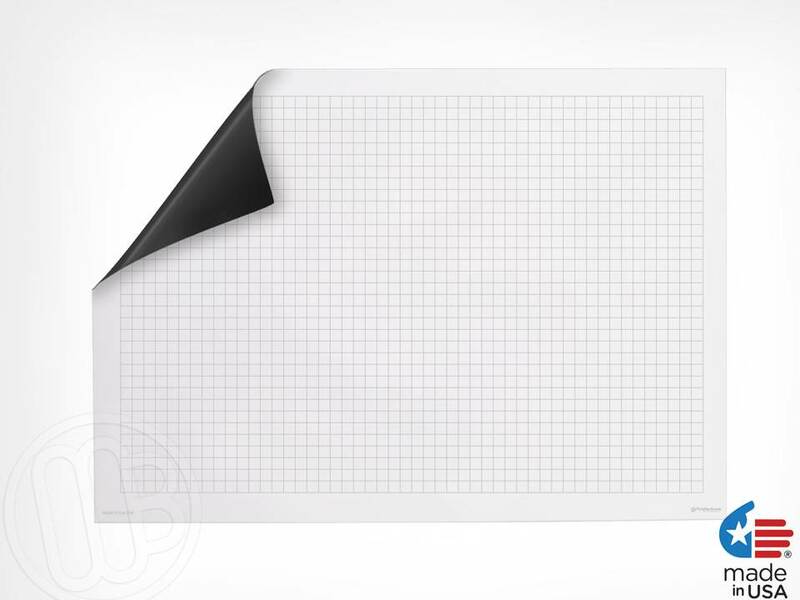 The grid prints are covered with our exclusive clear dry erase writing surface so they will not crack, split or peel off when you're erasing or writing on the surface. 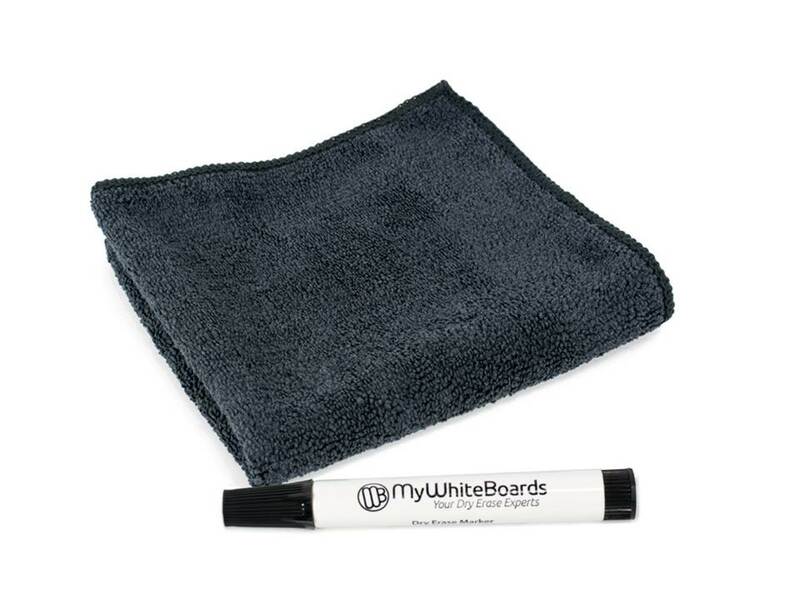 Each magnetic print comes with a black chisel tip marker and one of our black Opti-Wipe™ micro-fiber cleaning and polishing cloths but you can use any quality dry erase or damp erase marker. All made in the U.S.A. and ship by UPS from our factory in Shrewsbury, MA. Available Grid Sizes: (A) 1" x 1", (B) 1" x 2" and (D) 2" x 3"